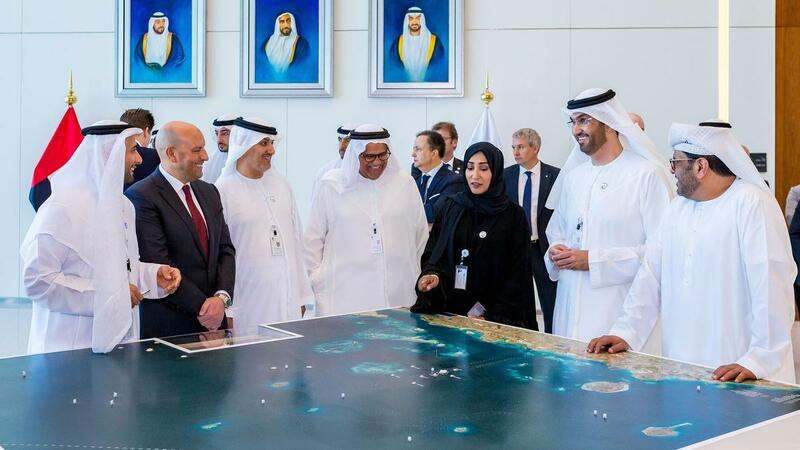 State-owned Abu Dhabi National Oil Company has awarded a contract worth Dh5 billion to a UAE-based company for dredging, land reclamation and marine construction for artificial islands being developed as part of its offshore ultra sour Ghasha concession. The National Marine Dredging Company (NMDC) will execute the project for the first phase of the scheme which includes construction of ten new islands, two causeways as well as expansion on an existing island, Al Ghaf over the course of 38 months. “This award accelerates the development of the Hail, Ghasha and Dalma sour gas offshore mega-project, which is an integral part of Adnoc’s 2030 smart growth strategy,” said Dr Sultan Al Jaber, Adnoc group chief executive, and UAE minister of state. “As one of the world’s largest sour gas projects it will make a significant contribution to the UAE’s objective to become gas self-sufficient and transition to a potential net gas exporter,” he added. Abu Dhabi, which accounts for much of the UAE’s 4.2 per cent global crude production has begun to prioritise development of its largely sour gas caps as it looks to become a net gas exporter. Abu Dhabi last year announced discovery of deposits equivalent to a 1 per cent increase to existing oil reserves and a 7.1 per cent addition to proven gas reserves. As part of its contract, the UAE company will provide infrastructure to further develop, drill and produce gas from sour gas fields in the Ghasha construction. Last month, Adnoc awarded Austrian energy firm OMV a five per cent stake in the ultra sour Ghasha concession, making it the third foreign partner for the scheme. The gas generated would be sufficient to power more than two million homes, according to Adnoc. German firm Wintershall was also awarded a 10 per cent stake in the Ghasha concession in November as part of a 40-year concession deal.The other foreign partner on the concession is Eni, which struck a similar 40-year deal to develop the Ghasha, Dalma, Nasr and Mubarraz and Hail offshore fields, which form part of the larger concession. Sour gas fields contain a high level of sulphur that needs to be extracted to produce gas for consumption. Last year, Abu Dhabi’s Supreme Petroleum Council approved a Dh486bn five-year capital expenditure plan to unlock its sour gas caps and boost its oil output capacity to 5 million barrels of oil per day by 2030, from about 3 million bpd currently. The company plans to raise output capacity to 4 million bpd by 2020. The contract awarded to NMDC will allow for generation of in country value of over 70 per cent, resulting in a total local spend of around Dh3.62bn ($1bn). The UAE firm is expected to work with international partners to deliver the project, which is expected to employ around 3,500 people. “Enhancing In-Country Value is an important part of our work plan in the National Marine Dredging Company, as it is for Adnoc. We will achieve this by spending almost one billion dollars of the contract award in the UAE and creating additional employment opportunities for citizens in the maritime sector,” said NMDC chairman Mohammed Al Rumaithi. Strong results from Aldar with healthy projections for the market.